Fact about earth, time and day. Interesting fact about earth, time & day. 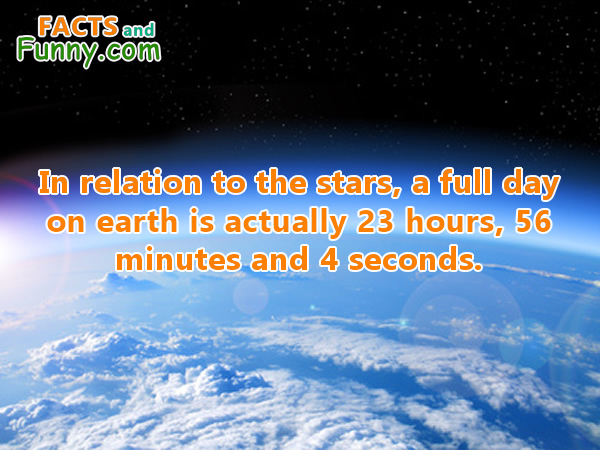 In relation to the stars, a full day on earth is actually 23 hours, 56 minutes and 4 seconds.